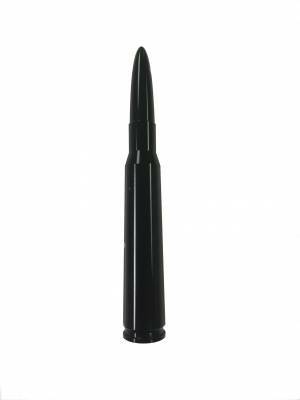 Replace your factory antenna with this stylish yet functional LOW PROFILE (5.5 inch) Black 50 Caliber Ammo Antenna. 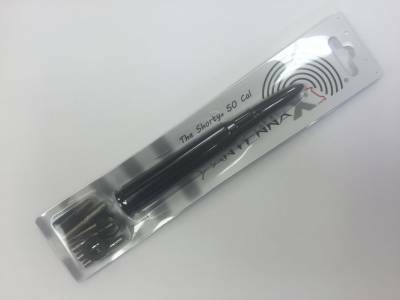 Made out of T-6061 Billet Aluminum with a hard Black anodized finish that will not chip, scratch or fade over time. Installation is very simple. This is a PLUG-N-PLAY antenna, which means it screws onto your existing antenna mount (a direct bolt-on part, no wiring involved) and takes a minute to do. 4 out of 5 reception with most people noticing no difference at all.